Sisterhood Gift Shop, located in the Temple Sholom lobby. 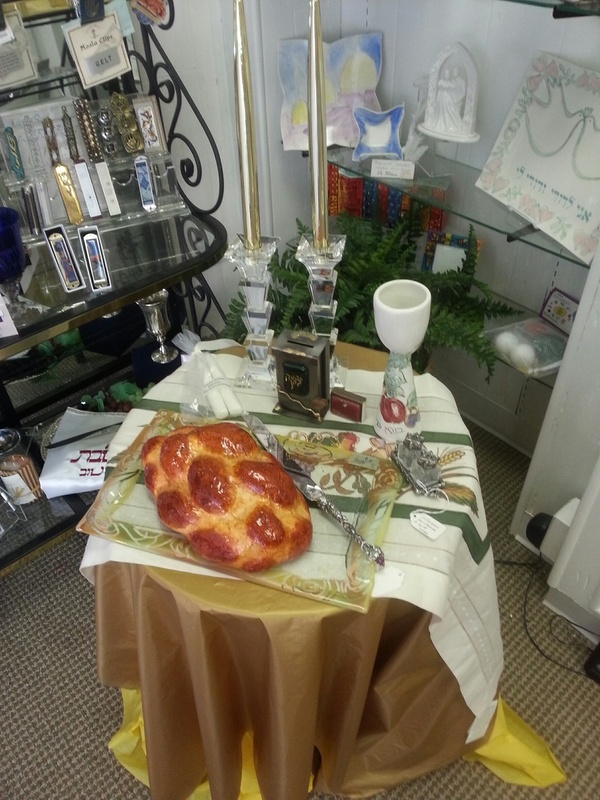 The Gift Shop is an excellent source for unique and well-priced Judaica items. Our Gift Shop features an array of specialty merchandise that will meet your holiday, Bar and Bat Mitzvah, gift and/or everyday needs. Support Sisterhood by stopping by our shop. Sisterhood also sells gift cards for Shop Rite. They are available at our Gift Shop. Shop Rite donates 5% of all sales back to Sisterhood. If you can't get to the Gift Shop, please call and we will be happy to arrange delivery to your home.